The Wrest Point Casino can be found in Herbert Tasmania, and its location has to be one of the best ones you could ever wish for, located in the heart of one of the most stunning places in the whole of Australia. Offering a wide range of gaming, dining and entertainment options this is the perfect place to visit when you either want to relax and unwind, or get into the thick of 24 hours a day gambling action. Wrest Point Casino Slots – You will find plenty of gaming machines at the Wrest Point Casino, they offer all of the latest, most up to date bonus video slots along with many of the more classical type of slots. With coin values adjustable on most machines you will find plenty of them to suit your bankroll. If you are visiting Australia for the very first time, and visit the Wrest Point Casino then you may hear them refer to their gaming machines as Pokies, so if you hear that term being banded about them do not be alarmed they are not being rude or even talking about you they are referring to the slot games! 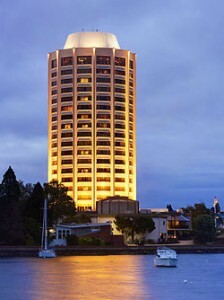 Wrest Point Casino Address – The Wrest Point Casino is located at 410 Sandy Bay Road Sandy Bay Tasmania Australia 7005. Should you wish to contact them by telephone then their number is (03) 6221 1700. Wrest Point Casino House Rules – The casino house rules state that all visitors are dressed appropriately in smart, casual clothing. No person under the age of 18 will be permitted entry to the Casino at any time. Wrest Point Casino Opening Times – The Wrest Point Casino is open each and every day, and is open Sunday to Thursday between the hours of 9a.m.-3a.m. and Friday to Saturday between the hours of 9a.m.-4a.m. The only exceptions to these opening times are on Christmas Day, Good Friday and Anzac Day, when opening times may vary. You will be able to stay at the Wrest Point Casino Hotel and as a guest you will have full, unrestricted access to complimentary use of all of the equipment and facilities at the Wrest Point Health Club and Pool. The hotel also boasts its very own indoor pool and gym, tennis court, or perhaps you may fancy a quick round of mini golf or to spend some time using their entertainment box office. All residents of the Wrest Point Hotel can utilise the in room dining facilities, where everything from a quick snack to an a la carte menu is offered. However should you prefer to dine out then there are five Restaurants which are well worth visiting. Point Revolving Restaurant – This is one of the most popular dining venues at the Wrest Point Casino and it offers a wide choice of dishes on the menu all served using locally sourced produce where available. Pier One Restaurant – The location of the Pier One Restaurant is simply stunning, located right on the water front you will find a fabulous choice of freshly prepared dishes, all reasonably priced. If you only dine out once during your visit to the Wrest Point Casino make sure it is at the Pier One Restaurant which come highly recommended.